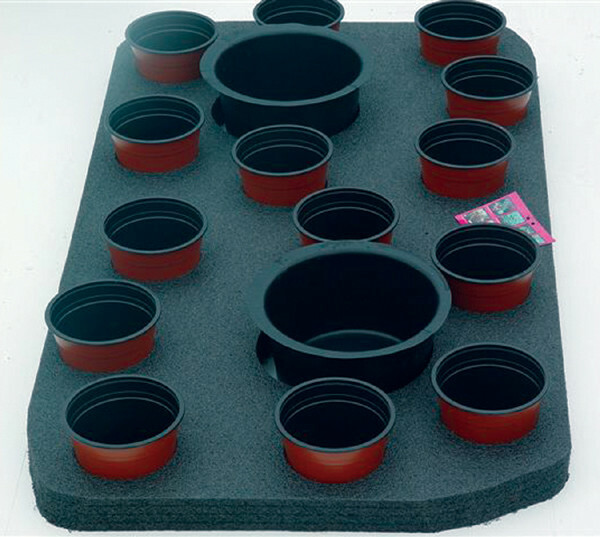 48" x 27" x 2" thick with 14 - 6" pots and 2 - 9" pots. Predrilled. Designed with focal point status in mind, this raft creates a beautiful floating garden in an otherwise open space. Rafts also provide shade and cover for fish from Blue Herons as well as safe haven for frogs in the center of the pond.